Below is a list of our most recent: exterior waterproofing reviews, interior waterproofing reviews, basement foundation repairs, drain repair reviews, and crack injection service testimonials. 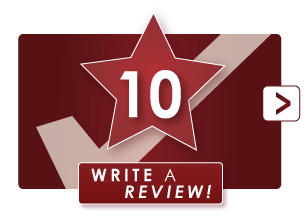 If you're an existing, or previous client, please feel free to [SUBMIT YOUR REVIEW]. I was amazed at how quickly the demolition and removal was done, while the remedial work started immediately. Crew were particularly nice, accommodating and great with my son. We appreciated how wonderful they were. Crew leader was very knowledgeable and confident. He was good at explaining in detail. The crew members were very courteous and competent. Work completed with as little disruption and dust as possible. Very knowledgeable about the cause of the problem and how to deal with it. Very professional, courteous and respectful to homeowner. Willing to answer any questions. They were not afraid to say, I do not know or I to ask Ed if they did not know. Had a great team from Basement Technologies. Would have you back on my property again. Best out of four other sales people that quoted the job. Knowledgable. Interior De-Watering and Sump Pump. Excellent and quite professional. Great work. Appreciated that Ed responded to our inquiries. Willingness to call in a structural engineer for our reassurance. Interior waterproofing, sump install, push piers and eco floor. Crew and leader were very professional. I asked many questions, sometimes two or three times and both were patient to answer all of them. Two really nice guys to have working at my home. Ed was calm, cool and knowledgable. Did not push. These guys were awesome. Great Job. Kristen called me within a hour to schedule the work. She is very professional. Provided us with exceptional level of professionalism & honesty. Very personable and explained job thoroughly.